Bollywood movies have this theme –Love – excessively, and while actors love stories off the screen fascinates the tabloids and fans alike, most turn bitter almost as soon as they start. In fact, love between celebrity couples is mostly short-lived, most of who part ways due to irreconcilable differences. Over the years, we have been glued to the gossip surrounding celebrity link-ups, and while it seems almost fairytale like, majority of the relationships turn sour too easily and quickly. Which now brings us to a rather unconventional love story, with regard to celebrities that is. It was no love at first sight (for her at least), no candle light dinners for the paparazzi to emblazon in the gossip columns, and no exchange of sparkling jewels to showcase their love to the public, but this couple shared something special that not even money can buy- their company and respect for each other. 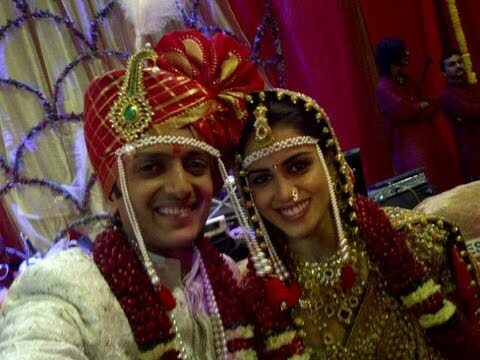 Let me introduce you to beautiful love & wedding story of Genelia and Riteish Deshmukh. The Time They First Met!! 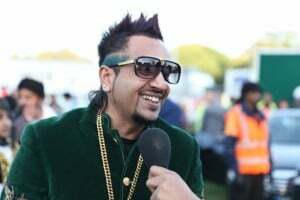 The couple befriended for the first time when they starred for the movie Tujhe Meri Kasam, but their first meeting is one that is ought to be narrated. He was 24-years-old and she 16 when they first met. Riteish was flying to Hyderabad just before the test shoot when he heard that the girl who would be starring opposite to him was on the same flight. On spotting them at the airport, he thought it would be courteous to walk up to her and her mother and wish them. As he did so, her mother politely returned the gesture while the tall beautiful 16-year-old girl standing next to her completely looked in the opposite direction as he attempted to befriend her. Genelia later admitted while giggling that she came to known a couple of days before that he was the former Chief Minister’s son and assumed he would be a brat. As a result she decided to ignore him completely with attitude. For Riteish, it was love at first sight, but she wasn’t really on the same page. While working on the sets of Tujhe Meri Kasam Riteish gradually managed to melt the ice with his charm and respectful nature towards the other people on the set. She slowly started to take notice of him when she realized that he was a nice, respectful and charming man, unlike what she assumed him to be, judging on his family background. On the sets he used to keep her interested with topics on architecture as he was a graduate himself and she would share with him her stories on college and exams. For the duo, falling in love was gradual and not sudden or overnight. After they wrapped up their shoots for Tujhe Meri Kasam they went on their separate ways and that’s when they began to miss each other’s company. Riteish initially hesitated to message her but eventually his feelings for her overwhelmed him and he did so. On the other hand she was awestricken by his personality and missed his presence around her too. She missed his intellectual conversations, his views on life and his general humor towards certain ways of life. Eventually they started to message each other on a regular basis but both agree that there was no declaration of love, a proposal or anything of the sort; they perfectly understood what they shared. Almost a decade past and the couple finally amongst the constant rumors flooding their link-up in the tabloids, decided to get married after it was arranged by their parents. There wasn’t even a personal proposal or a ring, Genelia now admits that having him in her life was enough and that he was her sparkler. Now isn’t that something every guy would love to hear from their girl? Pun intended. On February 3, 2012, a little more than eight years of being together, the youngest and cutest couple in Bollywood tied the knot in the midst of family, friends and well-wishers. Riteish is a Marathi Hindu and Genelia a Mangalorean Christian and their marriage was a fine example of inter-faith marriages. 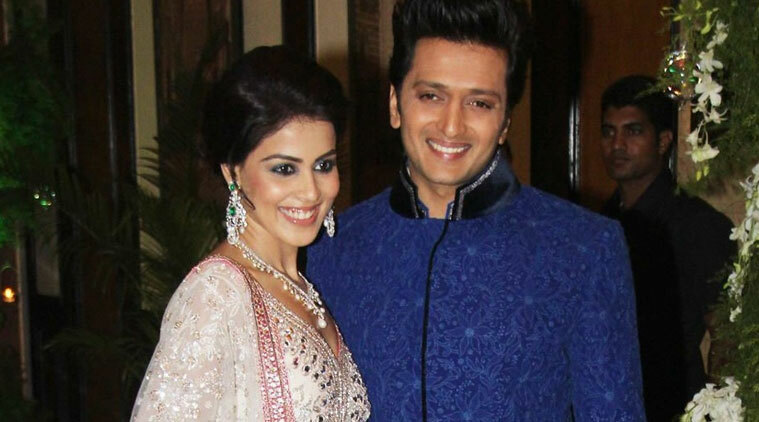 Four days before the nuptials, the Sangeet ceremony held at the Taj Lands End hotel in Bandra, which saw Riteish dressed in a princely blue sherwani while she was dressed in a glamorous stone embellished white lahenga. The highlight of the ceremony was when the would-be couple shook their feet to a Marathi song, Kombdi Pallali, with their friends and family. 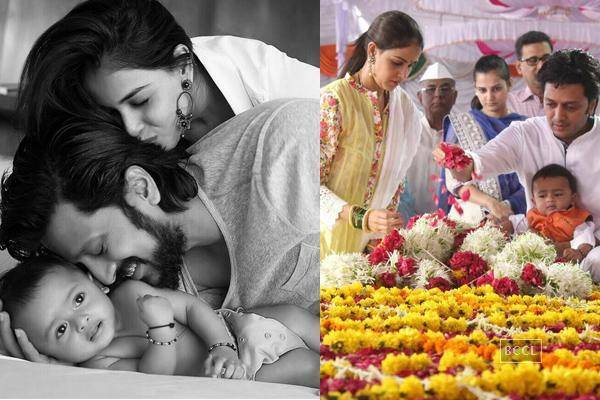 The day before the big day, Genelia’s family conducted the ‘Umbracha Paani’, a traditional Konkani ritual which has the bride dance to a well. Genelia, looking delicious in her pink saree danced her way to the well with her brothers and partied the night through. Respecting their separate religious backgrounds and beliefs, the wedding was split into two ceremonies, Christian and Hindu. The Maharashtrian-style Hindu ceremony was held at the Grand Hyatt Hotel, on February 3, 2012. As part of the ritual, Ritiesh wearing a stunning white sherwani rode into the hotel on a horse while Marathi songs were played and the drums beat to the tune of the folk numbers. Genelia on the other hand got into the act too and looked no less Marathi with her red and gold saree and a pearl chain strapped across her forehead. The next day, the gorgeous couple exchanged their vows at St. Anne’s Roman Catholic Church, in Bandra. Genelia looked almost fairytale like in her sparkling white gown holding a bouquet of white roses and Riteish was dressed in the typical tux and bow-tie avatar. Looking madly in love, the couple danced the night away in typical Mangalorean style with traditional English tunes and group dances. 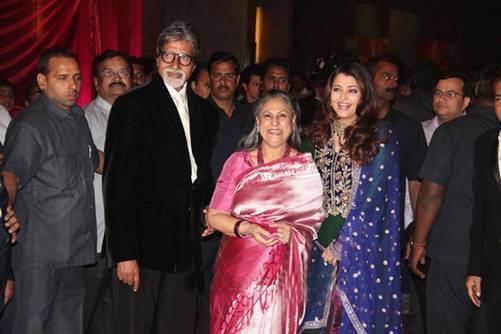 The next day’s grand reception was graced by the biggest stars in Bollywood and was a traditional Bollywood party. From the Bachchans, to Aamir Khan and wife, Shah Rukh Khan and family, Saif Ali Khan to the who’s who of Bollywood was present. It’s been four years since this gorgeous couple has been hitched and they have already been blessed with two adorable sons, a confirmation of the volume of love this celebrity couple shares. While most Bollywood couples head for the splits every now and then, we asked Riteish what was his secret to love, marriage and relationships. Yup, if you can spend 24-hours a day with someone and still love them, then for sure it’s truly meant to be.